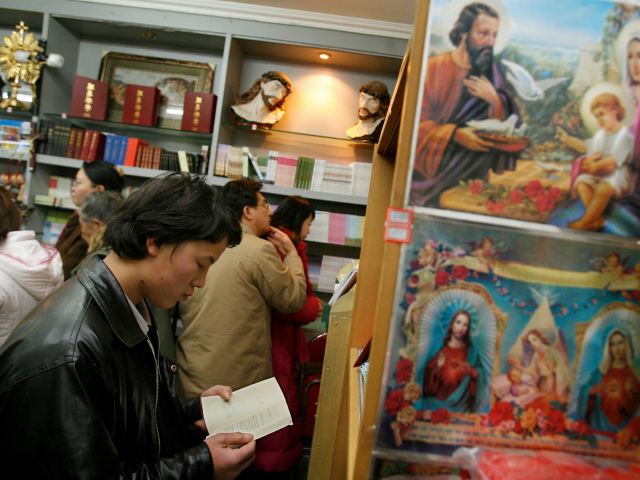 In the wake of the release of a new white paper on “religious freedom,” Beijing has ordered bibles and other Christian books removed from online bookstores across China, sparking a wave of complaints. In the absence of any official government statement explaining why the bible has been removed from online bookshops, the most common theory has been that a new, state-approved translation is in the works that will square with Chinese socialist ideology. Last week, China announced that one of its biggest tasks in the coming years is to enhance “Chinese-style Christianity” by reinterpreting and retranslating the Bible. The announcement came in a document, titled “Principles for Promoting the Chinese Christianity in China for the Next Five Years (2018-2022),” which was launched in Nanjing on March 28, two days before bibles started disappearing from websites. China “manages religious affairs in accordance with the law, adheres to the principle of independence and self-management, actively guides religions to adapt to the socialist society, and unites religious believers and non-believers to the greatest extent,” the white paper stated. The keyword search for “bible” on the Chinese social media platform Weibo saw a massive spike on March 31, followed by a sharp nose dive to zero on April 1, spawning suspicions that the government had censored the word. A number of shop owners have said that the removal of the bible from their sites was forced by Taobao, and Chinese internet users have reported similar cases on Weibo and Twitter. Some have posted screenshots of their chats with bookshop owners who said they were forced to take the Bible off their shelves. Even when certain websites continued showing listings for “Holy Bible,” buyers were unable to add the item to their shopping cart. Some other Christian-themed books suffered a similar fate, being blocked on Taobao. President Xi Jinping has made it clear that all religions active in China must be “Sinicized,” or rendered compatible with the beliefs and programs of Communist China and purged of western influence and control. At the Chinese Communist Party (CPC) Congress last October, the head of the umbrella agency that oversees religion insisted that “socialist core values” must be at the heart of any religious faith active in China. On February 1, 2018, a series of strict regulations overhauling religious practice in the officially atheist country went into effect, the product of China’s State Administration for Religious Affairs (SARA), which has since been subsumed into the UFWD. The new norms were described in one report as consciously intended to “annihilate underground communities” and “suffocate official communities.” Penalties for nonconformance include the imposition of massive fines for persons associated with underground religious communities not authorized by the state, which have no legal standing in the country. The regulations also mandate that no one under 18 years of age is allowed to enter a church building, as part of an effort to separate youth from Christian education and practice.